Do you and your family members seem to create loads and loads of dirty laundry? I know my family of 5 does, and one of the best ways to keep all these dirty clothes out from underfoot is ample space in your laundry hampers. 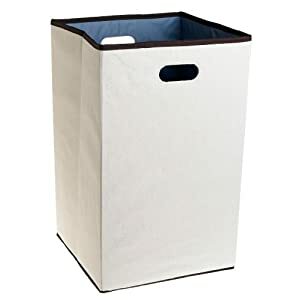 I like this hamper because it is quite big -- large enough to hold at least a load and a half of laundry, and perhaps even two full loads if you really smash it all down. The basket itself is pretty light, although sturdy, meaning that you can relatively easily carry it loaded to your laundry room to start the wash. In addition, it has a plastic stain-resistant liner inside that you can easily wipe down to keep the hamper clean without too much trouble. Another nice feature is that it is collapsible when not in use. 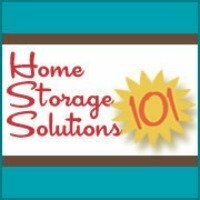 You can easily just fold it up and stash it somewhere, like in between your washer and dryer, when you don't need it, so it doesn't take up so much space. You can place several of these in a central location of your home for family members to dump their dirty clothes, or in several strategic locations throughout the house to collect laundry where it seems to pile up.